DO YOU WANT TO MODEL? 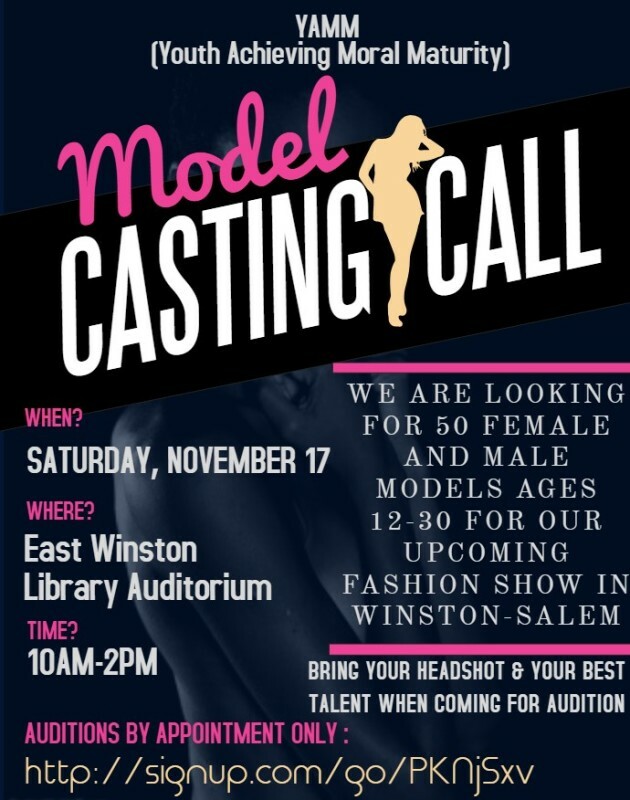 ​Come out and audition for our casting of models. We are looking for 50 males and females ages 12-30 to participate. ENJOYMENT AND LEARNING ARE REQUIRED!